If you’re looking for belly pads online, shop with Punch® Equipment. Our belly pads are designed for Boxing and Muay Thai protection training. The AAA model is mainly for a boxing trainer. 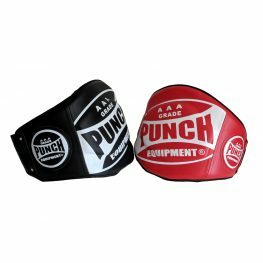 While the Black Diamond version is specifically for Muay Thai trainers.